Often an inspiring artist comes into my booth and wants advice about how to get started. I’m happy to share any information I’ve acquired but most of them really don’t want to hear it. There’s one thing I always suggest and not one young artist has thought it’s a good idea: submit your work to juried exhibitions. A lot. Find out what’s passes the juror’s test. Dare to have your work compared to the best artists out there. Entering a juried exhibition takes courage. You have no idea what the juror is looking for. You don’t how what else has been submitted. You don’t know how many works will be submitted and how few can be accepted. Exhibitions teaches an artist to develop a self-critical eye. My husband tells me everything I do is great. We all need supportive, encouraging people around us, but they can’t tell us if our work is good. Blind jurying can. Rejection can be the hardest part of the jurying process. Nobody likes to be rejected, but artists don’t know if their work has been rejected because the work was bad, that particular juror didn’t like it, it didn’t fit the juror’s vision for the show, it didn’t work with the other pieces already selected or there were too many good pieces to fit and choices had to be made. The rejection is important though. When a piece of mine is rejected from a show, I have to look more critically at the work. Were there flaws that could be corrected? Did I misinterpret the theme? Of course, acceptance is much better! Fewer than 1 in 10 of the works submitted to the Art St. Louis Exhibition XXIV were accepted. 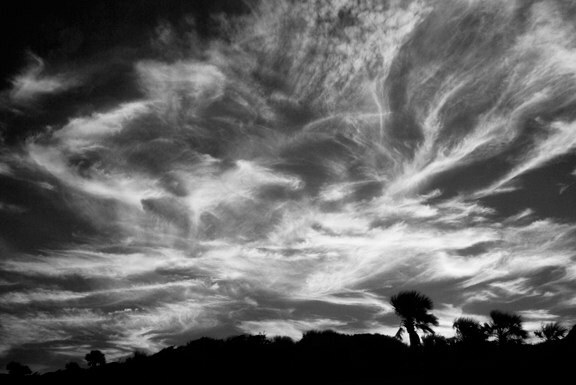 I was delighted that “Windswept, #1” an Infrared photograph, was among the accepted works for ASL major annual exhibit. Submitting work to juried exhibitions is time-consuming, costly and exhausting. And it’s the best way I know to push my work forward. This entry was posted in Art, Exhibits, Infrared, NewWork, Photography, Soap_Box. Bookmark the permalink.